Possibility to spend the night at Las Vegas airport (LAS), if open 24 hours. Services available, places to rest (free resting zones), or look for the list of nearby hotels and vip lounges..
Las Vegas airport is a busy place that is open 24 hours a day and offers several things to do while you wait for your flight departure. Noise inside the terminals is ever present, even at night, so it is recommended to have headphones or earplugs. Where to rest: Most seats have armrests, but you can find more comfortable couches near the D gates of Terminal 1, and next to gate E9 and the stairs leading to the baggage reclaim hall of Terminal 3. On the other hand, on the second level of Terminal 1 there is a quiet hallway where you can lay down if you have a sleeping bag. There are also a few VIP lounges inside the terminals, where you can enjoy more amenities, but keep in mind that they close at night. 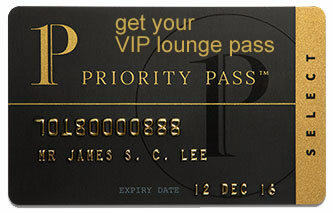 SEE VIP LOUNGES In addition, many hotels in the city centre offer shuttle services for their guests. Baggage: The enclosure does not operate luggage storage offices. Eating and drinking: The only options open during the night are found inside Terminal 1. Restrooms: Showers inside the VIP lounges and the gym (Terminal 1). Other services available around the clock: ATMs, commercial stores, slot machines, children's play area, nursing suites, gym. There are many accommodations in the city centre, some of them with complimentary transportation service for their guests. Best Western McCarran Inn (Tel +1 702 798 5530), Travelodge by Wyndham Las Vegas Airport No/Near The Strip (Tel +1 702 736 3600), Hyatt Place Las Vegas (Tel +1 702 369 3366), Homewood Suites by Hilton Las Vegas Airport (Tel +1 702 407 0075), Holiday Royale (Tel +1 702 733 7676), Serene, a Vegas Resort (Tel +1 702 369 2281), Alexis Park All Suite Resort (Tel +1 702 796 3300), Motel 6 Las Vegas - Tropicana (Tel +1 702 798 0728), Americas Best Value Inn Las Vegas (Tel +1 702 795 3311), Howard Johnson by Wyndham Las Vegas near the Strip (Tel +1 702 706 1019).